Dr. Vessely offers the full spectrum of laser and aesthetic medical services to keep you looking as young as you feel. With more than twenty years of helping people in the Portland area turn back the clock, Dr. Vessely and her medical team can help you become The Younger You. I have been practicing medicine in the Portland area for over twenty years and have developed many long-term patient relationships, often seeing three generations in one family! This website introduces my work and presents the three distinct aspects of my medical practice. First, I really enjoy the creative, artistic work in my laser and aesthetic practice where I help my patients look younger and healthier. This can be done without surgery and I pride myself in helping my patients look normal and natural – just like themselves, only younger: The Younger You. 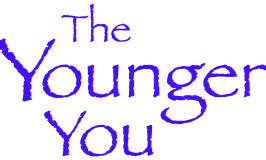 If this sounds interesting to you, you can learn more about my approach and methods on The Younger You page. You may notice that you will not find images reflecting society’s definition of feminine perfection and beauty on my website. Instead, I’ve chosen to display images of nature’s beauty. Many of the photos on my website were taken by my daughter. She has an eye for seeing the unique and beautiful in nature, just as I have an eye for seeing the unique and beautiful in my patients. 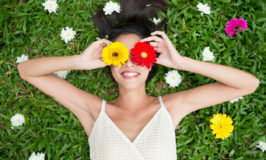 I believe that each of us is beautiful, with unique features, and the goal in my cosmetic practice is to help you protect, enhance and refine your natural beauty, preserving your unique and individual features. I also enjoy my work at Lake Grove ENT where I see a wide variety of patients and conditions. When I chose otolaryngology-head and neck surgery as my specialty, it was because I enjoyed the full range of medicine. I treat adults, children, men, women, and offer both surgical and clinic appointments. 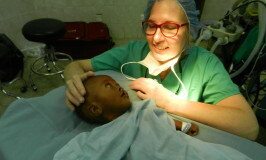 The third major component in my medical practice is mission work with a concentration in cleft lip and palate surgery. Please feel free to read my blog posts which cover a range of topics and contain photos from my surgical mission trips. I recently launched a nonprofit organization, Global Medical and Surgical Teams, to promote health and healing around the world. My laser and aesthetic office features a charitable organization each quarter, raising awareness of and funds for that charity. some of the groups we’re featured in the past include: CURE, WaterAfrica, The Oregon Food Bank, Global Medical and Surgical Teams, Dress for Success, J.P. Clawson Medical Mission Foundation, Operation of Hope, Goosehollow Family Shelter, Children’s Relief Nursery, One World Futbol, Shared Hope, Women of Vision, The Clothing Closet. Thank you for taking the time to visit here! I look forward to meeting you in the office.